Xiaomi released its first phone, the Mi 1s, in 2012 but it wasn't 4G LTE compatible. Xiaomi's first 4G LTE compatible smartphone was the Mi 4. Since then, all Xiaomi phones released in India and all other markets have been 4G LTE network compatible. All Xiaomi phones released since the Redmi Note 4G in India have been compatible with most 4G LTE bands that are used by telecom operators in India. Xiaomi's best 4G phone, as of December 2018, is the POCO F1, with up to 1.2Gbps download speed and up to 150Mbps upload speeds. 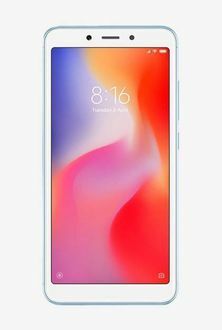 The cheapest 4G Xiaomi mobile in India, as of December 2018, is the Redmi 6A and it can achieve a maximum download speed of up to 300Mbps and upload speed of up to 150Mbps. Xiaomi's latest 4G mobiles are even capable of connecting to 4G LTE networks using both SIM card slots. You can find the best price of Xiaomi 4G mobiles on this price list page.